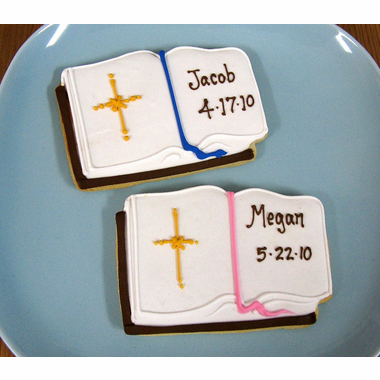 The Holy Bible is the shape for these delicious Christian cookies. They can be used as favors for a variety of occasions including: baptism, christening, confirmation, and communion. If you are planning a special church event, they are also ideal. 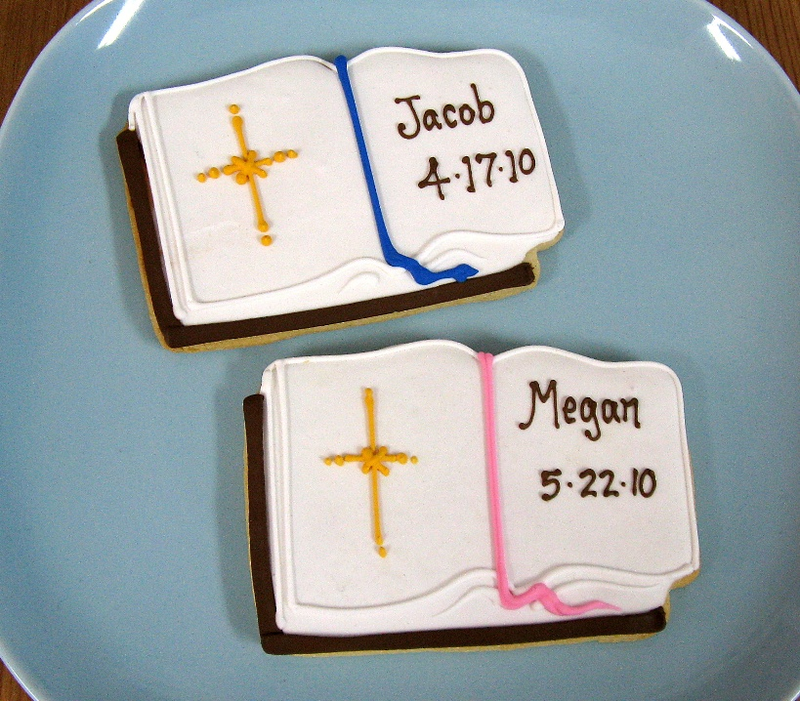 The cookies can be personalized with a first name and event date. They are also wrapped in a cellophane bag with a curling ribbon.